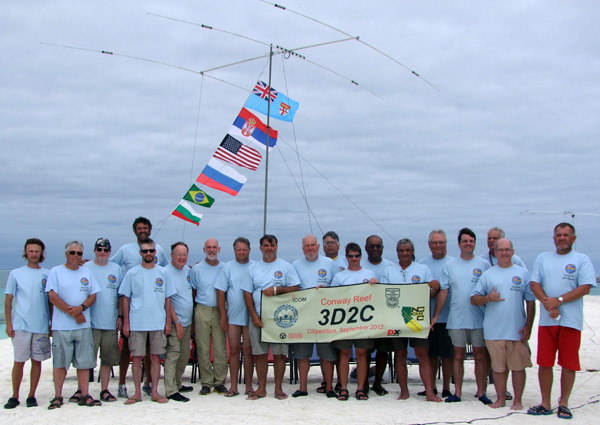 We started with the distribution of 3D2C QSL cards. Till now we have send 2800 envelops. You can check are we send cards for You on Online LOG page. Our team continues its activities in Central and Southern Pacific. For 2012 We booked the beautiful island of the Pacific, we wanted to activate the last year, but we preferred the island of Rotuma with 3D2R CALL. Now our team unanimously decided that the Conway Reef is our next point. We already have CALL: 3D2C.